When I picked up my four-year-old son from his first day at preschool last week, the first thing he did was drag me across the room and show me the globe sitting on the bookshelf. There’s something about globes, isn’t there? As an adult, I am still fascinated by them and this one beats them all hands down. 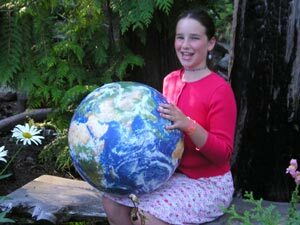 While there are a huge number of globes on the market today, the Earth Ball is the first to show you the world as it really is. 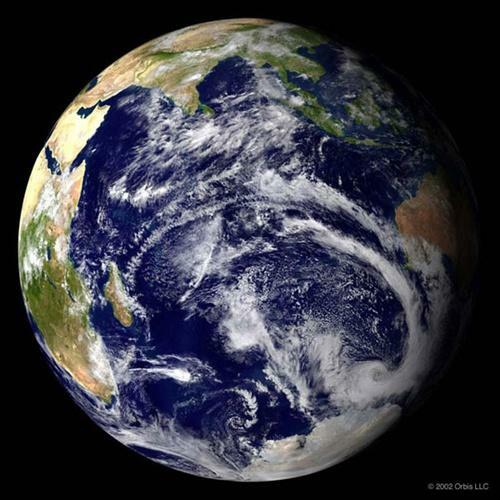 It uses NASA satellite imagery to depict the Earth viewed from space. 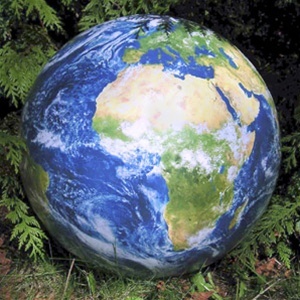 It is a 41cm inflatable globe, so there’s no need to worry when you find it being tossed around the room. But the best thing of all? The pinpoints of the major cities of the world all glow in the dark! It may be some time until your budding astronaut really gets up into space, but the Earth Ball will get them off to a flying start. You can find it at Queensland based Monkeytail & Wellington for only $20.